Yes, we're a Lutheran college. (Our name gives it away). So what does that mean? It means that faith matters at Luther College. We think offering a rigorous academic program in the context of a faith tradition is the best way for you to discover your life’s meanings and commitments. And you don't have to be Lutheran—or even Christian—to appreciate the personal, intellectual, and spiritual growth you receive from a Luther education. Colleges offer a broad range of approaches to addressing questions about religious commitments in life together. Some colleges work from a common creed or statement of belief that provides a uniform worldview for community discourse. Others keep faith out of the community’s public life and leave it as a matter of individual choice. 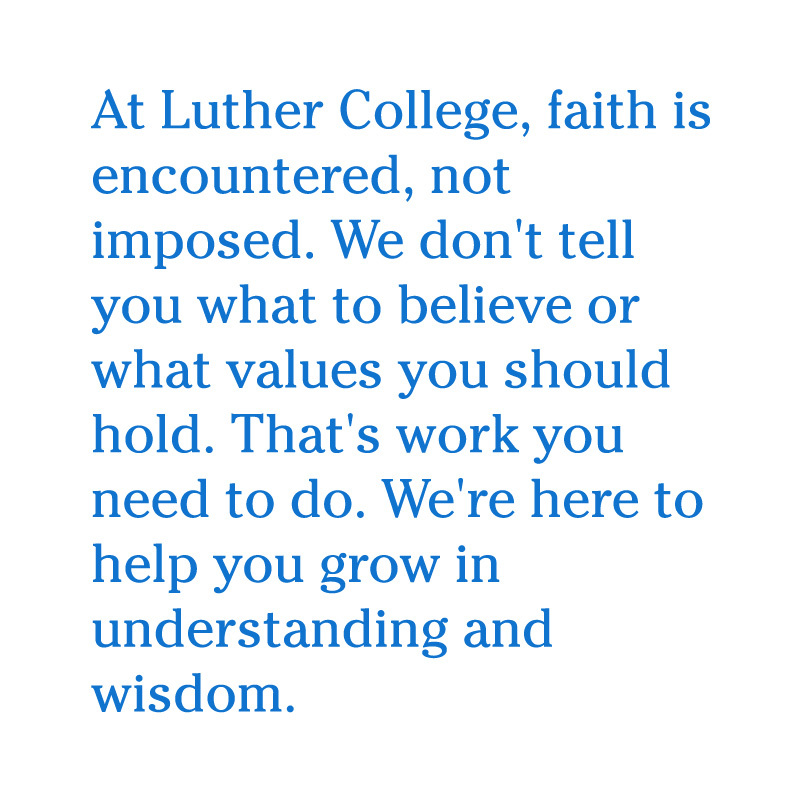 Luther College embodies a different approach, building community around a lively and inclusive conversation of faith and learning that engages the world in all its complexity and wonder. Martin Luther was both a pastor and a professor. The reformation of the church he sparked in 1517 began with a heated debate on a university campus. Perhaps this start in an academic setting is one reason Lutherans have always given education a high priority. In fact, because of our Lutheran tradition, we want you to wrestle with challenges in economics, biology, or literature, while exploring deep questions about faith and values. To do this, we encourage conversation with people of diverse backgrounds and with differing opinions. In this way, you come to better appreciate and understand your own beliefs. A Lutheran, liberal arts education is focused on helping you discover how you can use your talents to serve your neighbor, community, and the larger world. In the Lutheran tradition, we call this vocation. Put simply, vocation represents the many ways to live life serving God and others. This in turn leads to meaning and purpose. Luther's College Ministries provides rich worship opportunities and prepares students for roles of leadership in the larger church. Mission trips, Bible studies, and other small group opportunities help students deepen their faith while engaging life's big questions with peers and mentors. People of various faith backgrounds gather for weekday chapel services where students, professors and staff reflect on issues of faith and learning. Sacred music is an important part of the Luther experience. Music not only enriches worship and other campuswide celebrations, but it shapes the faith lives of the entire college community. Martin Luther called music “one of God’s greatest gifts to humanity” and it holds a place of prominence at Lutheran colleges. We believe one of our vocations as a Lutheran college is to care for our natural surroundings and to be good stewards of our resources. This means that Luther is a place that joins pragmatic action with academic exploration and moral courage in the area of environmental sustainability. 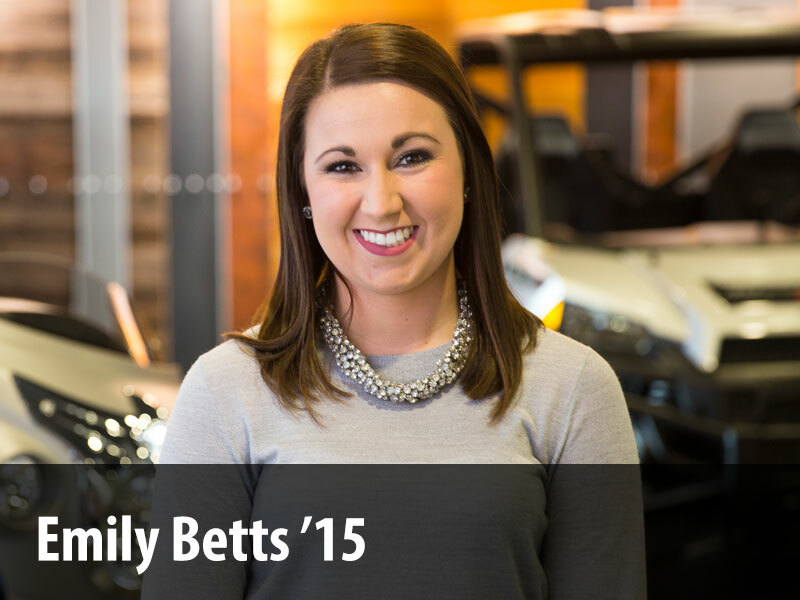 It’s no accident that Luther College is known for its strong sense of community. The conversation of faith and learning requires a robust community that celebrates, explores, laments, prays, studies, questions, serves, and plays together. About Luther maintained by huintr01. Page last updated on 6 November 2017.